In the late 1960s a new generation of filmmakers took Hollywood by storm. Visionaries like Scorsese, Coppola, Altman, Peckinpah, Romero, and Cimino led cinema in a new direction, capturing the spirit of counterculturalism and the frustration created by the Vietnam War. Perfect for film enthusiasts, history buffs, and anyone who has an interest in the "American New Wave" era of independent filmmaking. The Little Book of Knowledge series has everything you could want to know about your favorite subjects, all wrapped in a convenient and attractive hardcover graphic novel. Written by experts in the field and drawn by fans who know the material, each Little Book is perfect for the established enthusiast and burgeoning amateur alike. Jean-Baptiste Thoret is a director, historian, and film critic. 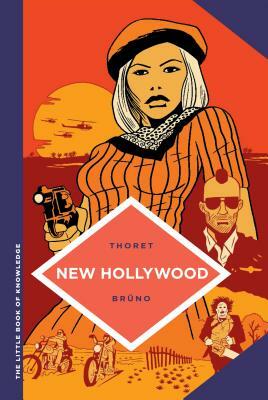 He has written numerous books on cinema including Le Cinéma américain des années 70 (Éditions Cahiers du Cinéma, 2006) and Talk About Cinema, with Elisabeth Couturier, as well as books on Dario Argento and Sergio Leone. His directorial work includes the 2016 documentary En ligne de mire, which examines the ways war is portrayed in film.